Here are some new pictures of mom's new digs showing sings of life. 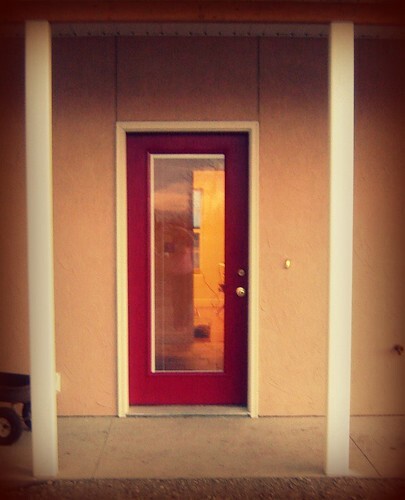 This is mom's RED door! I love red it. I will post the rest of the pictures tonight when I don't have a monkey hanging by one arm off my back. I love red too, especially if it has blues in it instead of oranges. Hmm...Is the monkey still hanging on your neck?